However, by the end of 2017, the Copts decided to drop their charges against the arson in order to get permission to build a new church beginning from January. There are about 1,600 Copts in Kom El-Loufy. In August 2016, the Egyptian Parliament passed a new law on the construction of churches in an effort to ease the process of obtaining a license to build a church. Despite the efforts, there were still more than 3,500 pending applications in the face of only 219 churches that were legalized this year. Egypt’s former Prime Minister Sherif Ismail also recently called for the ‘speeding up’ of the process of legalizing unlicensed churches. 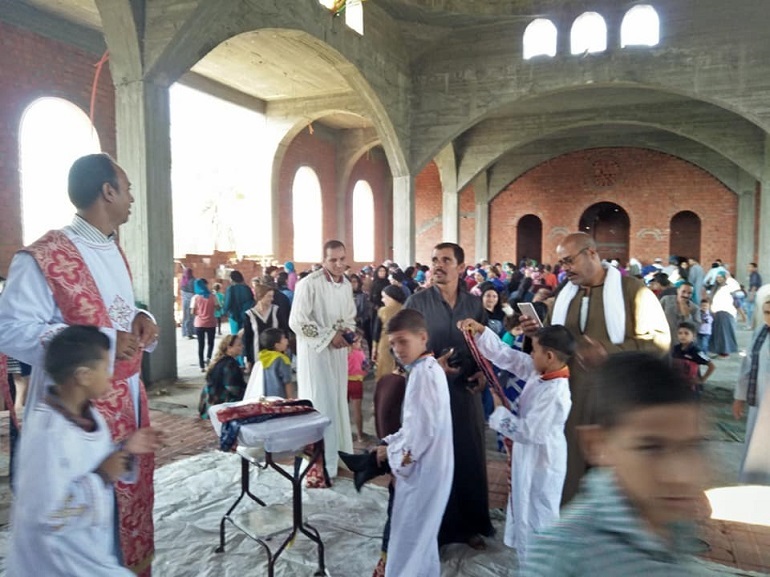 Yet, earlier this month, the Christian community in another Minya village faced amob of extremists attacking their church after it received approval. The scenario was made worse as the police failed to intervene, with one officer promising the attacker that there would be no more churches in the village. Villages in Egypt are known to be filled with religious strife and conflicts more than in cities such as Cairo or Alexandria. Many other Copts have had similar grieving experiences, as the building of new churches continues to be an unresolved issue.